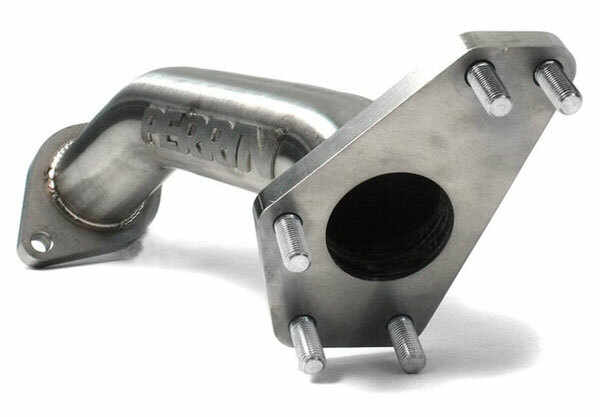 Perrin Performance PSP-EXT-110 - Perrin Performance Turbo Up-Pipe for Subaru Legacy GT Turbo 2"; 2005-2009. PERRIN has been known since our inception for the quality of our up-pipe. The PERRIN Up-pipe was the first product we ever released and has been a leader in this market ever since. Our Up-pipe is one of the best ways to increase the power and throttle response on your Turbocharged Subaru. 321 stainless steel tubing is CNC mandrel bent and precision welded to perfection. This eliminates the need for a flex joint, which is a major weakness in other up pipes including the OEM one. The PERRIN Up-Pipe inside diameter best matches the OEM exhaust manifold outlet and OEM turbo inlet. This is critical to maintaining exhaust gas velocity increasing turbo spool up. Typically we see 250-350 RPM quicker turbo spool up after installation. For a stock turbo, the 1.75 Up-Pipe is the perfect choice for spool and HP. Our 2 Up-pipe is a perfect choice for those looking for a larger Up-Pipe for higher HP applications. PERRIN Flanges are CNC machined from 304 stainless steel, 1/2 thick and counterbored on the back side to make a smooth transitions from cylinder head to exhaust tubing. Using the PERRIN Up-pipe on this vehicle removes a catalytic converter which makes this part illegal to use on public streets and highways. 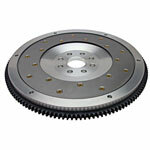 Below are other popular parts other customers have purchased for their Subaru Legacy. Perrin Performance Turbo Up-Pipe for Subaru Legacy GT Turbo 2"